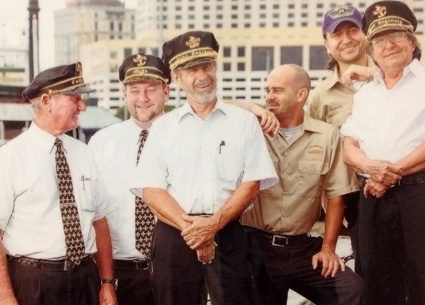 Following in his father’s footsteps, Juan Mendivil, Jr. came to work aboard the Steamboat NATCHEZ, continuing the riverboat traditions that are passed from father to son. Today Juan Sr. is a Chief Engineer and Juan Jr. is a Fireman. Scotty Vieages, Jr., who joined the crew in 1995, is also a Fireman whose father is a Chief Engineer. Master Captain Steve Nicoulin, Sr.’s son came to work for the company in 2003 and Steve Jr. is now a pilot and captain himself.